Panasonic announces a new smart camera ideal for sharing photos and videos online. 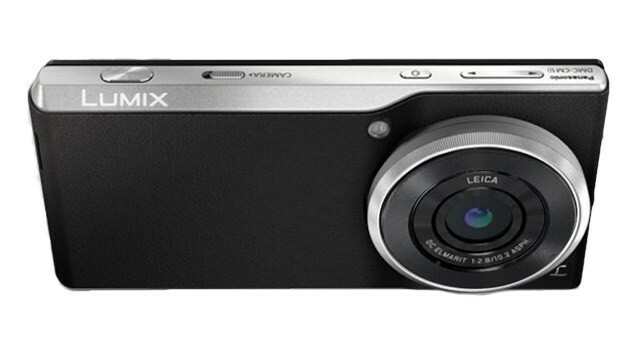 This isn’t a combined phone and camera like the existing Lumix DCM-CM1 model, which support phone calls etc. The new Lumix DMC-CM10 model focuses on the camera and fast sharing using a 4G/LTE mobile network. Hence, you can’t make a phone call with this camera, but you’ll be able to send text messages. This is a handy feature for sending a photo without having to upload it to the Internet first. The resolution is 20.1 MP, and comes with an improved image sensor compared to DCM-CM1. The improved specs allow recording in 4K resolution with 3,840 * 2,160 pixels and 15 images per second. Recording in full-HD allows 30 images per second. The still image speed is excellent: 50 fps. The display is a large 4.7-inch touch display. The internal storage is 16GB, which can be extended by 128 GB using an external card. Thus, there’s plenty of storage available for intensive use. The battery lasts 52 minutes in video recording mode and has an idle time capacity of 26 days. The lens uses the Leica design that corresponds to a 28 mm F/2,8 lens. Digital cameras are becoming more versatile, and Panasonic Lumix DMC-CM10 is no exceptions. It runs on Android 5.0. This Android version is becoming slightly outdated, so I’m foresee that Panasonic will upgrade to Android 6.0 relatively soon. The official launch date is scheduled for the 28th of February. It will initially only be sold in Japan. We don’t know when it will be available in NZ, but expect to find it in stores before the winter. The price in Japan is set to US$850 according to Panasonic’s Japanese site, which corresponds to about NZ$1,300. The NZ retail price will probably be somewhat lower considering the current price for the DCM-CM1 model.